If you have a large photo collection, or you have found the best and most stunning images that you have ever seen on the Internet, we have a new way of enjoying them for you. All you have to do is download PhotoJoy. 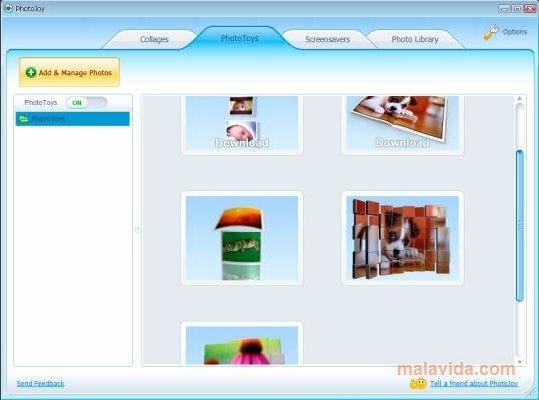 PhotoJoy is a free application that will allow you to transform your photographs in amazing 3D presentations, create original screensavers or entertaining collages to show to your friends. All this can be done from the same intuitive interface in a few steps and very easily. 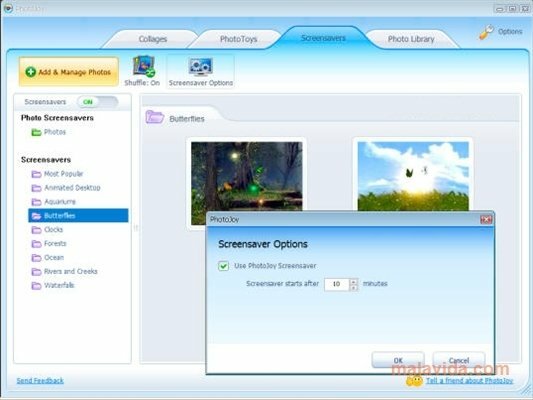 - Create dynamic wallpapers, that are completely customized. - Design spectacular screensavers that enhance the quality of your photos. 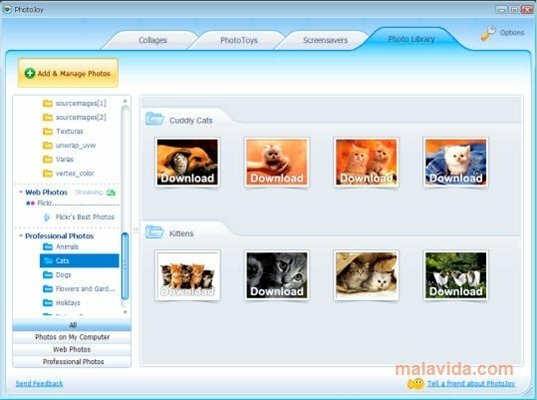 - Include widgets on your desktop with the photos of your choice. - Access more than 1,000 professional photos. 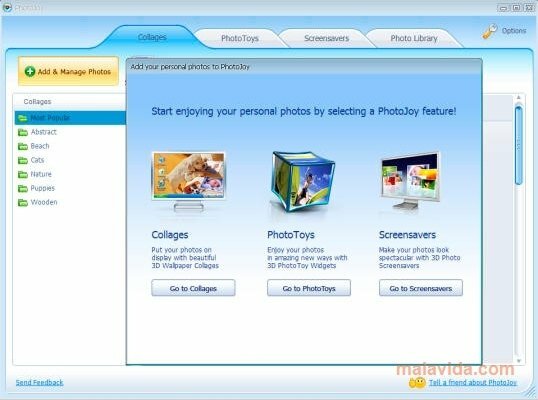 Discover a new way to enjoy your favorite images and photos, thanks to PhotoJoy. This download is an installer, therefore, you require an active Internet connection during the installation process.